Since the implementation of the Improving Access to Psychological Therapies (IAPT) initiative in 2008, the face of mental health treatment within primary care in the UK has been overhauled. 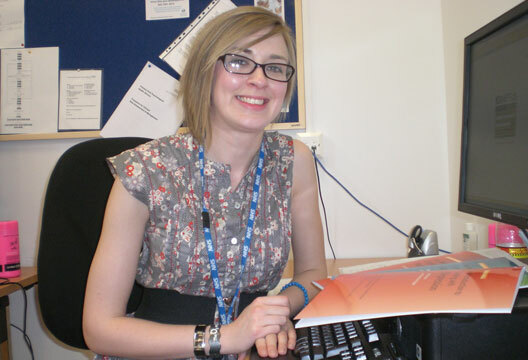 Within IAPT, the post of Psychological Wellbeing Practitioner (PWP) is an increasingly popular option among psychology graduates seeking an entry-level job with direct clinical experience as part of a mental health team. At Step 2 of the stepped-care model, the basic functions of the PWP’s role are to provide ‘low-intensity’ cognitive behavioural therapy-based guided self-help and to signpost clients to relevant local agencies, such as employment support agencies or SureStart groups. We typically see clients with mild to moderate depression and anxiety, but can also provide help with problems such as stress and low self-esteem. Sessions are fewer in number than in traditional CBT (Step 3), and usually last for 30 minutes or less. The focus of the sessions are workbooks or other self-help materials. Rather than providing ‘therapy’, PWPs act in a coaching role, working collaboratively with the client to choose the direction of the sessions. As clients are often unfamiliar with this form of intervention, the PWP must work creatively and help the client to engage with the material and to understand what is expected of them. To provide the client with a flexible and accessible service, sessions can utilise a number of formats, including face-to-face, telephone, psychoeducation groups, and computerised CBT. At this level of intervention, caseload volume and client turnover are high; a PWP may help over 250 clients per year. With such high turnover, regular supervision is vital to the role. To save time and allow increased opportunity for the PWP to meet their targets, IAPT services are shifting the emphasis from conventional face-to-face sessions, to those carried out over the telephone. Resistance to this method of intervention and its suitability often comes from the practitioner rather than the client, although I have found that if given the choice, many clients will opt for face-to-face work. Practitioners are typically sceptical of telephone work, as it does not allow for the use of non-verbal cues, silences are difficult to interpret, and the practitioner is unable to provide a safe, calming environment for the session to take place in. However, positive outcomes can nonetheless be achieved through this method. Some trainees are disappointed when they learn the realities of the role, as sessions do not involve therapy, and the amount of face-to-face contact may be less than anticipated, but there is a lot to gain from a PWP post. The role enables the development of many useful clinical and organisational skills; PWPs independently manage their own caseload and must keep up to date with an ever-evolving evidence base, which will form the foundation of their interactions with clients. A PWP will learn how to offer balanced sessions that facilitate what is the most rewarding aspect of the job, client progress; there is much satisfaction that can be gained from seeing people take control over their own well-being and face their personal challenges. To encourage applicants with a wider range of experience into the post, entry requirements to the PWP role are broadening. Whereas in the past an undergraduate degree in health, psychology or a social science was an essential requirement for ’low-intensity’ roles, this is no longer the case (although they are still valued). Applicants must demonstrate an ability to study at an undergraduate level, but those with qualifications in areas such as nursing and social work are now also able to apply, meaning that teams are often from a diverse range of backgrounds. My undergraduate degree is in history, and I have studied a conversion course in psychology, whereas some of the trainees who have recently taken up posts in my team have backgrounds in research, and occupational therapy. While there are a number of different paths to becoming a PWP, experience working with people with mental health problems remains crucial, so early volunteering can often be beneficial in supporting your application. In response to the IAPT bidding process, many NHS Trusts joined with third-sector agencies to strengthen their bid. As a result, a PWP may find that they are employed by a charity rather than the NHS. Although it varies between employers, new trainees tend to be employed at Band 4 of Agenda for Change until they successfully complete the employer-funded IAPT training course, a postgraduate certificate level qualification that is usually studied at a nearby university. Once qualified, PWPs are employed at band 5. Contracts are offered on a permanent basis, so the post can often provide a secure employment option within a clinical setting. I have been a qualified Psychological Wellbeing Practitioner for over a year, however when I came into post, the title on my name badge read ‘Graduate Mental Health Worker’. Many Graduate Mental Health Workers have now found themselves ‘converted’ into PWPs during the IAPT rollout, since the concept of the PWP is an evolution of the Graduate Mental Health Worker role. The benefit of these changes is that the IAPT initiative provides increased structure and recognition for those of us who are working using ‘low-intensity’ interventions. Under IAPT there are now guidelines for what services teams should be providing, what supervision should entail, as well as team training requirements. This has provided increased confidence within the role, and an increased understanding of the PWP role among the wider team, which had previously been a common and challenging problem amongst teams accustomed to the traditional service-delivery model. There are, however, some issues with accreditation, as there is not yet a route for those who have completed the Postgraduate Certificate in Primary Mental Health Care rather than an IAPT-accredited course, although options for accreditation are set to expand in the future. The British Association for Behavioural and Cognitive Psychotherapies, who currently offer the accreditation route for those who have received IAPT training, plan to introduce a further option for those with similar training if they complete IAPT-accredited top-up training. The British Psychological Society is also working on an accreditation system. These are exciting developments that recognise the importance of the role. Career progression is an issue for PWPs, as this aspect of the role has largely been neglected. Some NHS Trusts are employing Senior PWPs at Band 6, which involves holding a small caseload and taking on a PWP management role, providing supervision and training, however the availability of these posts is limited. Advancement will often require training in a different skill set, nonetheless being established in the PWP role and the experience that it provides is a valuable foundation for further development. Two years’ postqualification experience is required before PWPs become eligible to apply for IAPT high-intensity training roles, and the clinical psychology training course also values PWP experience. As the majority of clients referred into the IAPT service will be screened as appropriate for a low-intensity intervention, the importance of the PWP role cannot be overemphasised. Working with a large caseload poses its own challenges, but confidence increases with experience and the knowledge that you are part of a wider team who can provide support and guidance really eases some of that pressure. Through reflecting on my own experience and talking to my colleagues, we all agree that the role is demanding, be it due to the volume we work with, or the clients themselves, but it has also provided us with much satisfaction, and a clinical skill-set that is constantly developing. ‘The Society has led the course accreditation process for Psychological Wellbeing Practitioner training since 2009, and during that time has worked with the national IAPT programme to widen access to training, both to Psychology graduates and people with a range of other experiences and motivations for working in PWP roles. Courses are increasingly being offered at both undergraduate and postgraduate levels, and the workforce is becoming more diverse as greater numbers of PWPs are completing their training. As IAPT services are developing, so too is the role of the PWP, particularly into senior PWP roles (at band 6 and even band 7). Additionally, some courses are employing qualified PWPs on their tutor teams, adding a highly valuable dimension to the PWP training experience and offering a further route for progression.